How some green Orion slave girls break into TV. 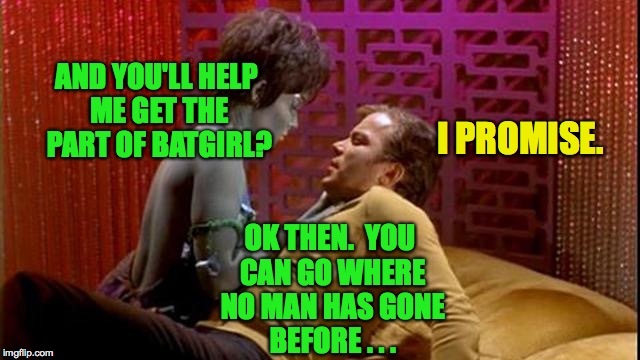 AND YOU'LL HELP ME GET THE PART OF BATGIRL? I PROMISE. OK THEN. YOU CAN GO WHERE NO MAN HAS GONE BEFORE . . .